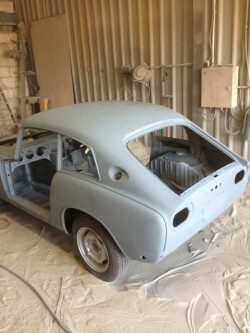 Restoration: the act of lovingly returning something to its pristine, original condition. Desecration: the disrespectful or contemptuous treatment of a treasured possession or object. 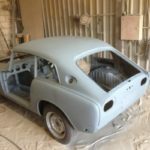 Classic car restoration is, for us, all about love and respect – with a fair amount of oil, welding, blood, sweat and tears thrown in for good measure. 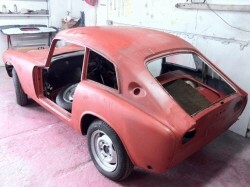 Working on this Honda S800 really drove home just how badly a restoration job can go if it falls into the wrong hands. We were given this S800 in an unfinished state and asked to complete the work that had been carried out on it to get this utterly irresistible sports car performing once more. The S800 is proof that great things can come in small packages but when we unwrapped our gift and took a look inside we found more evidence of desecration than restoration. The work carried out on the bonsai supercar had actually done more harm than good. We quickly realised that we needed to rip it out and start again if this car was ever to match its pretty serious performance credentials and former stylish, sleek looks. Let’s get back to basics then and start restoring. We needed to remove the engine, gearbox, dash board and all outstanding trims so that we had just the rolling chassis to work on. We left all the underneath running gear in situ but the engine and gearbox were in such a sorry state that they needed a complete strip down and vapour blast to make them look and perform as good as new once more. 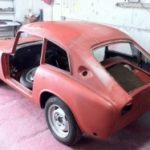 The body shell was blasted and zinc primed before the panels – bonnet, doors and boot – were fitted and their alignment fine-tuned. Once we were sure everything fitted perfectly we commenced with body repairs to fix wobbly panels, seamlessly repair dents. The bonnet had suffered worse of all in the hands of the previous so-called restorers but some artful re-fabrication and careful welding will have this lovingly restored and ready for the final paintwork. Nothing is worse than seeing a classic car desecrated. And nothing is more satisfying than the sight of a classic car proudly driven from the workshops perfectly restored. Well, that is apart from driving that classic car yourself, of course.